Please click link below to view the HES 2018-2019 Calendar. While navigating, please note that there are two pages. One with a list of dates that the school district is closed, and then the second page, which is an "at a glance" style view of the entire school year in more detail. Please make sure that you check the "Upcoming Events" calendar that is on the front page of our website. The Upcoming Events will give you the most detailed day to day activities that is available. Three emergency/inclement weather days are built into the calendar. If not used, these days will be deducted from the end of the school year. 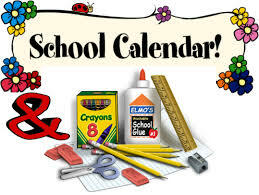 Should emergency/inclement weather days exceed three days, those days will be added to the end of the school calendar and in accordance to the make-up day list on the back of this calendar on page two.